Prior to increasing the Horse power of the engine. I would recommend first making sure the brake system can handle the extra horse power. In most cases the stock Elan brakes are notoriously poor. Seized sliding pins are a common problem and can cause poor braking and uneven pad wear. Although keeping the brake pins and dust seals well maintained and fitting a good quality pads. It is possible to have acceptable braking with the stock callipers. Changing to a good quality set of pads can make a huge difference. When I first got my Elan I had a lot of problems with the brakes. Getting rid of air in the system was my first problem. No matter how many times I bled the brakes the pedal just did not feel firm. Eventually I purchased a Gunson Eezibleed Kit then changed the front pads to Mintex M1144 compound race pads. Wow! what a difference. It is now easy to lock up the wheels. At the time I found camskill.co.uk to be the cheapest place to get them. The drawback about the M1144 compound that I have found is that you will be cleaning your wheels more frequently. When changing rear pads the pistons will need to re-wound to allow space for the new Pads. There are many rewind tools on the market. Mintex Front pads: Mintex MDB1141-M1144. Approx £59 Rear pads: Mintex MDB1765. Approx £36 (M1144 compound is not available for the rears). Front pads: FCP173H-D2500. (Track compound) £83 from Camskill. Front pads: FCP173C. (Road compound) £15.48 Rock Auto. Pagid “Blue” RS4-2-E9521. (Track compound) Approx £**. Information on the full range of Pagid pad compounds can be downloaded from here. 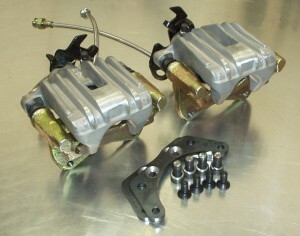 The Elan uses the front brake disks from the 1990 Astra GTE. If you are staying with the stock callipers then EBC offer the EBC Turbo Groove Disk available for the front at about £165 pair. 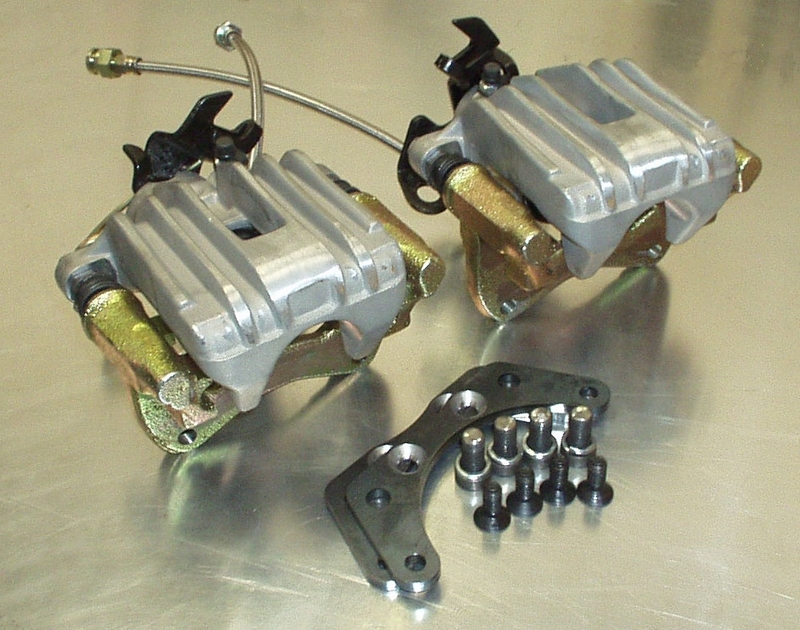 The cheapest and most common system is the Hi-Spec 4 pot calliper kit. The 275mm kit will fit under the standard 15″ wheels of the S1 cars. Although their website states that the 283mm kit will fit a 15″ wheel, they will not fit. If you opt for a larger disk then you will either need to use wheel spacers or upgrade to larger wheels. 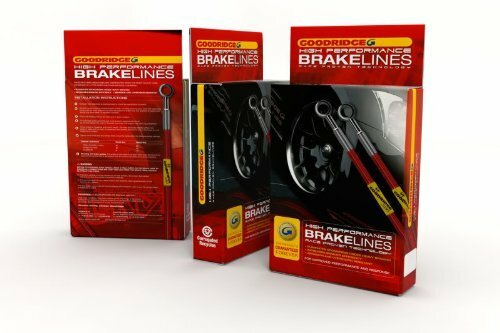 Good points: This kit has now been available for over 10 years and after ironing out early problems it now seems to be a good replacement for the standard brake callipers. There are a multitude of colour options available for the callipers. I have had my callipers for about 10 years and once they were fitted with a good quality set of pads and bled properly I had no problems with them. The Hi Spec kit also benefits from having dust seals. Reliability and quality seem to be good. Current price is about £600 + VAT (if you are in the UK). Bad points: Hi spec customer service is very poor. When I first got my kit I would have ranked their customer service as 0 (on a scale of 1-10). That was 10 years ago… Unfortunately their reputation has not improved much over the years. But at least the product has. The 275mm kit uses re-drilled brake disks. Some of the mounting holes are quite close to other holes. I have not heard of any disks cracking. pnm engineering are a UK independent Lotus specialist located in Wallasey, on the Wirral, in the North West of England. As far as I am aware are the only UK company that currently offers a Rear Brake upgrade kit for the Elan. AP Racing, based in Coventry in the UK. 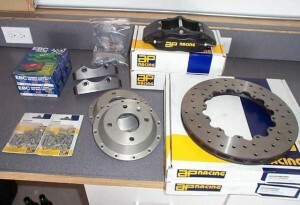 AP Racing are a leading manufacturer of performance brake systems for road, race and rally cars. With over 50 years of experience you can expect to receive a premium quality well tested product. BG Developments. Located in Bromsgrove offer complete bolt on kits for both the 15″ & 16″ wheels. Both kits use the AP Racing CP5100 series 4 piston calliper with dust seals and come complete with Goodridge hoses, alloy mounting bracket, pads and all associated hardware. The 15″ kit comes with 280mm grooved vented rotors and aluminium bell housings. 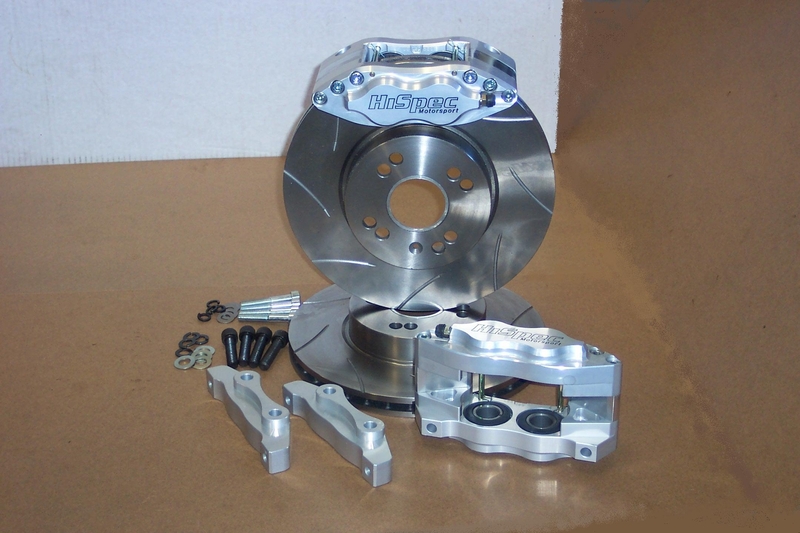 The 16″ kit uses 295mm rotors. These help eliminate the spongy pedal feel under arduous conditions, giving greater braking efficiency as well as providing superior resistance to abrasion and corrosion Consisting of a PTFE inner with a stainless overbraid covered in a clear outer coating. Available in the UK for about £85.